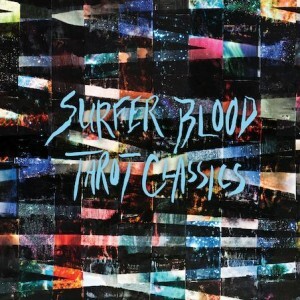 The easy-breezy Palm Beach boys of Surfer Blood are back with a 4 track EP, Tarot Classics, set to come out October 25th. It’s their next release after their debut album Astro Coast, which was recorded in their freshman dorm at University of Florida and garnered attention from Pitchfork and SPIN.com. How they were productive in the chaos of freshman dorms is beyond me, but after that wildly successful album (that sounded like The Shins taking an underwater expedition; full to the brim with catchy synth melodies and dreamy reverb) it’s heartening to hear them come back so strong. As a taster for their next LP, who they tweeted is to be produced by Phil Ek (Built To Spill, The Shins, Fleet Foxes), Tarot Classics is a rousing and adventurous teaser that focuses more on John Paul Pitt’s (JP’s) vocals. The feel-good vibes hit you hard with opener “I’m Not Ready,” where the guys experiment with tightening up their indie-power pop sound. As a band riding the waves of youth and interweb popularity, Surfer Blood proves again that they are a solidly damn-catchy indie outfit. I absolutely cannot wait to see where their next LP takes them.